I’ve only heard positive things about A Bite to Eat, so I was keen to check it out for myself and put it to the test. 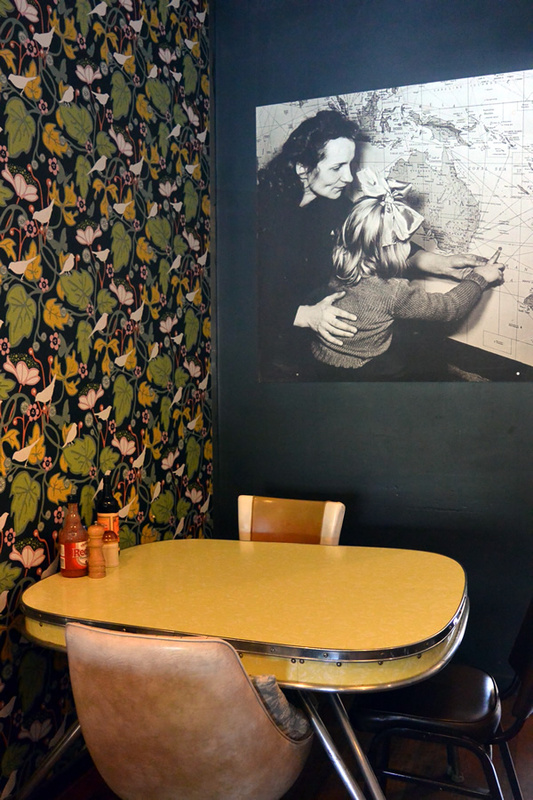 The cafe is boho meets my grandmother. 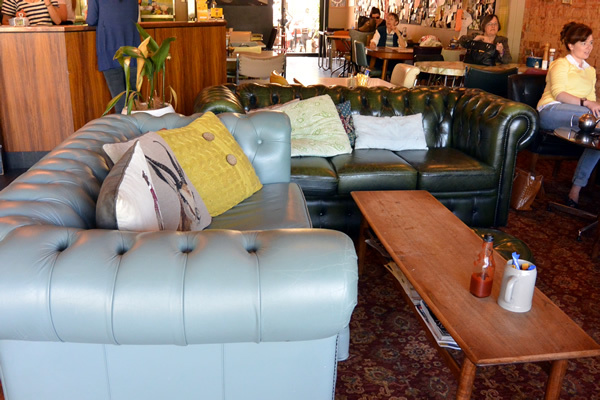 The furniture is a mish-mash of retro and vintage with couches, tables and a very lovely out door area. My friend and I took a seat outside and waited for a menu. I’ll forgive the waitress as she may be new but her first question to us was ‘do you guys have menus?’ A quick glance at our table would have answered her question before she asked it, but we’ll let that one slide. She took our coffee order while we settled in on the menu. It’s a really good menu, it had your classics but then it also had some really good alternatives for people who like to mix it up and try something different. 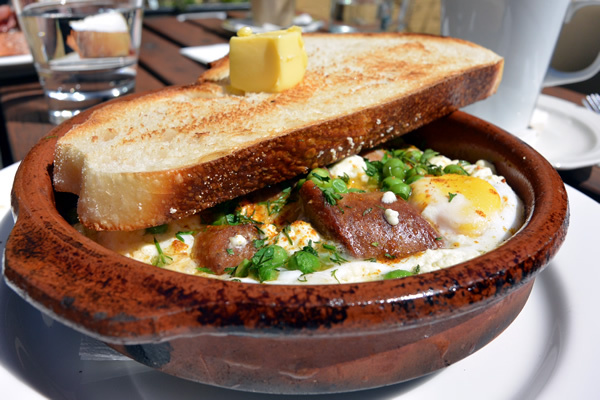 I went with a baked egg dish with lamb sausage and feta, something I’ve never tried before. A different waitress took our food order at which point we asked for a bottle of water for the table, we were directed to get it ourself. I know this kind of thing is a personal preference but given the cafe was not busy at all it would have been that extra bit of customer service they could have given without it stretching them. Our meals arrived in 10 minutes and we dug in! My dish was good, exactly as it was described with a nice big bit of bread with butter. Utterly delicious, I’d happily go back and have that meal. The coffee was also good, decent strength and really round with no bitter after taste. I’ve been told that if you do plan on checking it out on the weekend you better book! It’s super popular with the locals and walking in to get a table is next to impossible. 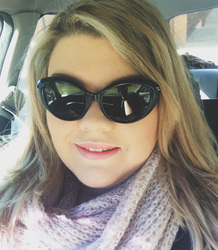 I have recently moved to Canberra from Melbourne after many years away. 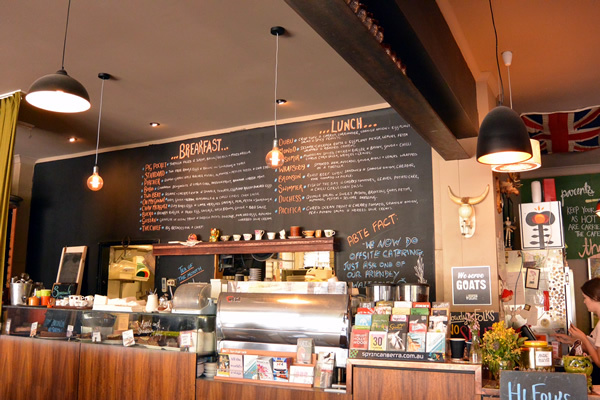 And it’s great to find that Canberra now has some cafes which have great food, interesting and fun character and atmosphere and with good service. It’s particularly good, to find a place like this on Canberra’s south side outside of the central city hub. This cafe is a favourite of mine; it’s often busy, which of course, is due to its popularity, which in turn is due to a whole bunch of good reasons and reflects well on the place. The above criticisms about service do not reflect my experience. I regularly go there (occasionally by myself or family and often with my 5 yr old son) and the vast majority of time the service is fine, the staff are very friendly and generally quick. It has been on the very rare occasion that the service was slow, slow service is inevitable occasionally in almost any cafe due to a whole bunch of reasons. The food is generally yummy, a great size, interesting and a great variety. A favourite of mine is the luigi (a meat ball based dish in a tomato base) and yes the coffee is fun. However, a limit of the menu is that the meals are generally not kid friendly. My experience is that the kids prefer uncomplicated (or reasonably plain) food and often I end up picking chips for my son. Read ANY reviews online, there are more negative than positive. I’ve been there twice…. never again. The service is…. well.. SO poor, it is funny. Food is good, but not special & not cheap. I was listening to Ross Greenwood’s business show on 2GB a while back and a cafe owner phoned saying a competitor was paying people to post negative reviews of his establishment online and the websites refused to take those reviews down even after being told the reviews were vexatious. This led to several calls from business owners saying much the same. Others complained that Google was listing bad reviews at the top of their search results and that Facebook was refusing to delete defamatory comments about businesses and the staff who work there. I would take any online reviews about any business establishment with a large grain of salt. Tripadvisor reviews were enough for Mt Stromlo to sack the cafe there! I used to go here a lot, mainly for breakfast and lunch, but I’ve stopped recently because the service is always so poor. The waitresses are often rude, they take ages to come and take your order, they don’t follow up for a second or third drinks order and don’t even think about asking to split the bill when you’re paying. I wish it was better because the location is great, as is the vibe within the cafe and it could easily be awesome. I disagree about the menu though – I think it’s too fussy and there aren’t enough options for those who are say GF or lactose intolerant or even small plates suitable for kids. With a little bit of tweaking, it could be so much better. Well there are some chips in cups, which make cause problems. Service is always like that, but a lot of the time is very slow. Don’t go there if you are in a hurry. Food is always interesting. Cakes are good, coffee is good. I wonder about the tomato sauce bottles on the tables all the time. Hopefully there is so much preservative in them that they don’t get fungus growing. Read labels carefully as it says “keep refrigerated after opening” but not at this cafe. A funky place, everyone talks loudly because of the background noise.